Chuseok, Korean Thanksgiving Day, is a symbol of the richness of Korea. There is even a saying, “Wish not for more or less but that every day would be like Chuseok.” The holiday occurs during fall, the season of harvest, and is naturally the time when one eats the most while relaxing after the hard physical labor of bringing in the crops. 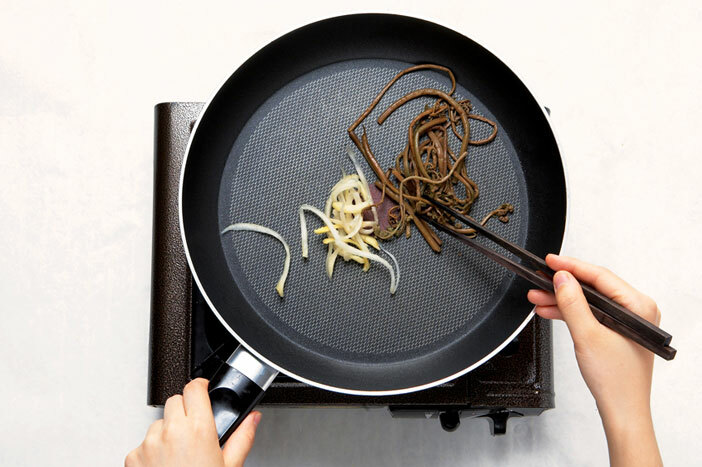 Upon the arrival of Chuseok, families gather to make songpyeon (half-moon rice cake) and feast on japchae (stir-fried glass noodles and vegetables) and other representative traditional Korean holiday dishes. To celebrate Chuseok like a Korean, try making one of these six representative Korean foods. Experience the holiday at home by making and sharing the recipes with your family! 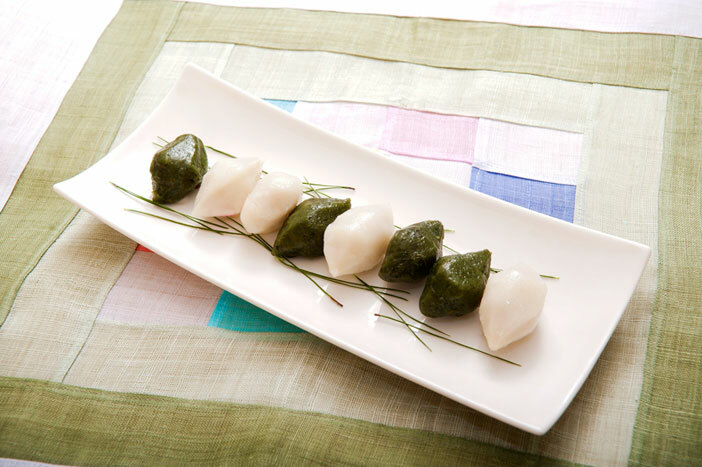 Songpyeon is one of the quintessential dishes that appears at every Chuseok gathering. Songpyeon is a type of rice cake, made of rice dough filled with beans, sugar or other nutritious ingredients and then steamed. The rice cakes get their name and signature scent from being steamed over a bed of pine needles (“song” means pine in Korean). The shape and filling of songpyeon varies according to regions but the most common ones are bite-sized and in the shape of a half-moon. 1. 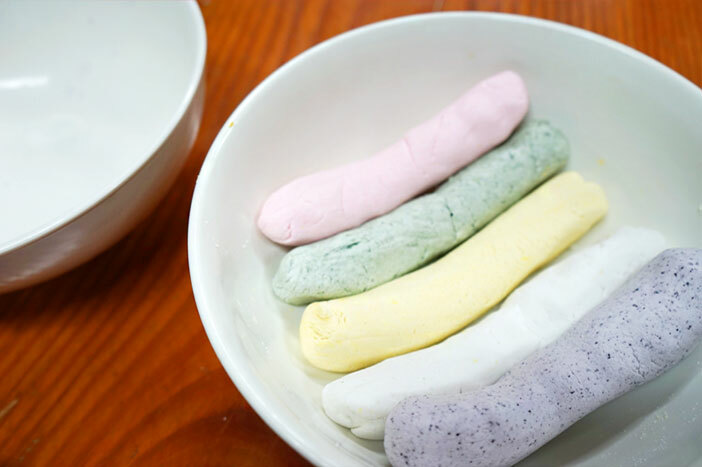 Mix hot water with non-glutinous rice flour to make the dough. 2. Flatten the dough in a round shape with a depression in the middle. Fill the depression with your ingredient of choice then fold in half and seal the edges together. 3. To make your songpyeon in a half-moon shape, start by forming a block shape. Press the top edges with your finger and thumb to create the half-moon shape. 4. Place a layer of pine needles on the bottom of the steamer, and put the completed songpyeon on top. Steam on high heat. A variety of jeon (pancake) can be seen during Korea’s holiday seasons. Jeon is made by mixing the ingredients of choice with a light flour batter and then frying in a pan with some oil. The ingredient used will completely change the taste. 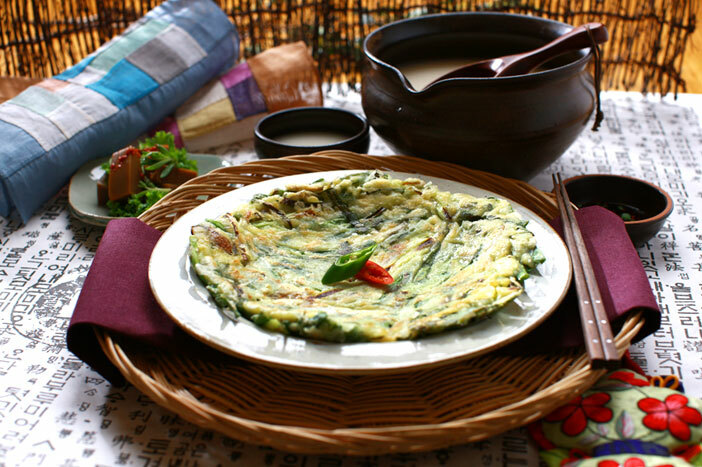 Jeon can either be made with a single ingredient such as dongtae jeon (pollack pancake) and hobak jeon (batter-fried summer squash), or a mixture of two to three ingredients such as haemul pajeon (seafood and green onion pancake) and kimchi jeon (kimchi pancake). 1. 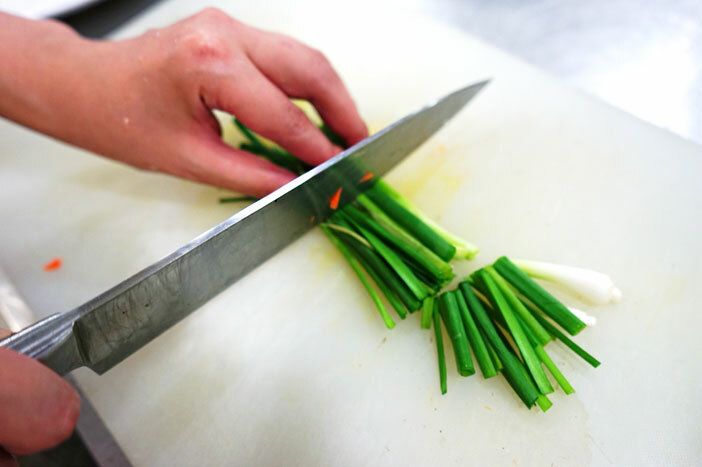 Thoroughly clean the green onions and then cut into approximately 10cm-long pieces. 2. Mix egg, water and Korean pancake flour to make the batter. 3. Once the batter is complete, add the ingredients (chives, carrot, shrimp, squid, etc.) and mix well. 4. Pour the pancake mixture into an oiled pan and fry until the edges turn brown. Flip and repeat on the other side. 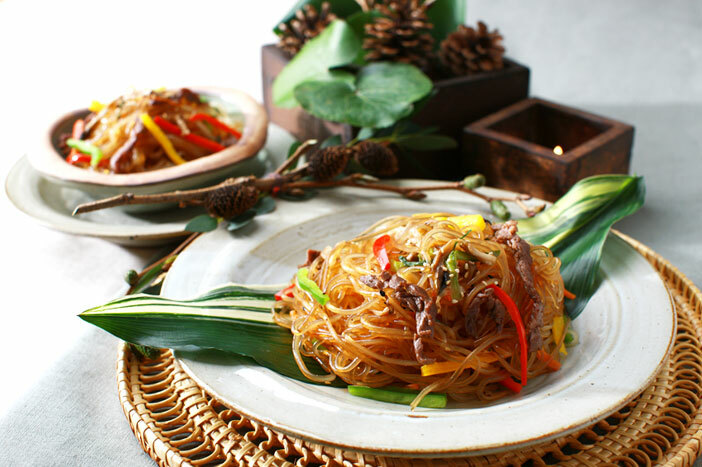 Japchae is yet another dish that is often present during festive days in Korea. Japchae is a compound word of the Korean words “jap” meaning mix, and “chae,” from “chaeso” which means vegetable. Japchae is generally made by mixing various vegetables together with meat and glass noodles. Japchae may seem like a relatively easy dish to cook, but it requires a lot of work. Each of the vegetable ingredients must be sliced into small pieces and lightly cooked, either boiled or stir-fried, separately before being stir-fried together one last time. It is a long process but you’ll know it’s worth it when you get to taste the harmony of flavors each ingredient brings. 1. Cook glass noodles in a boiling water for 8 minutes. 2. 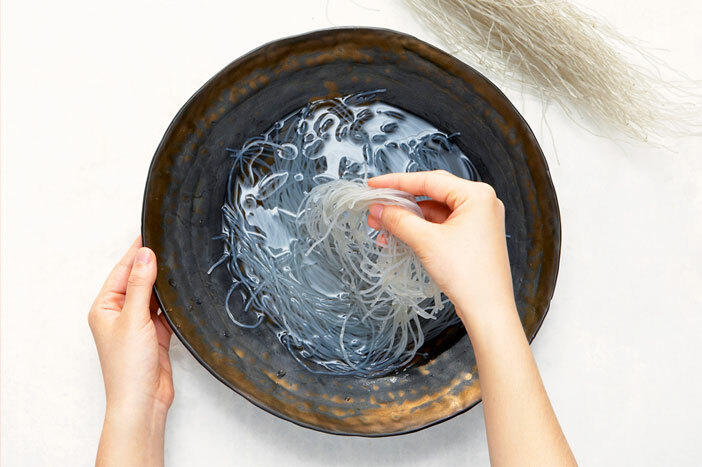 Rinse the boiled glass noodles in cold water with your hands and drain the water after. 3. Cut and fry the meat and vegetable ingredients separately. 4. Mix the rinsed glass noodles with seasoning sauce and simmer. Remove from heat after noodles have absorbed the sauce. 5. Mix the seasoned noodles with the stir-fried vegetables to complete the dish. 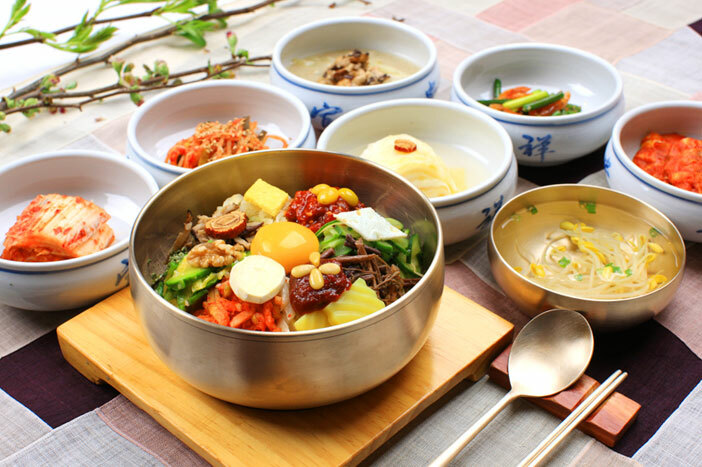 Bibimbap is perhaps the most well known Korean food among foreigners. 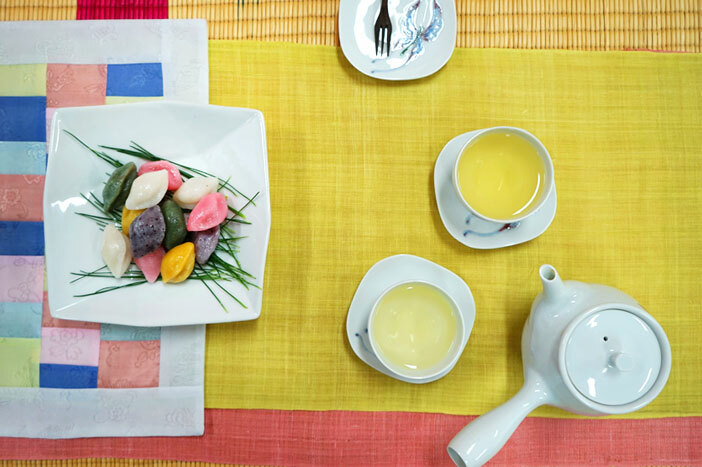 The dish is visually appealing, thanks to the use of ingredients in the five traditional Korean cardinal colors (white, yellow, green, red and black). Because the dish features a variety of vegetables, it is great meal choice for the health-conscious diner. 1. Slice the vegetables into bite-sized pieces. Also, boil the bean sprouts at this time. 2. Stir-fry the vegetables, in the order of lighter colored to darker colored ingredients. You may also choose to brown some meat or prepare thinly sliced fried egg for garnish at this time. 3. After stir-frying the vegetables, fry an egg sunny-side up. 4. Neatly arrange the ingredients atop a bowl of rice. 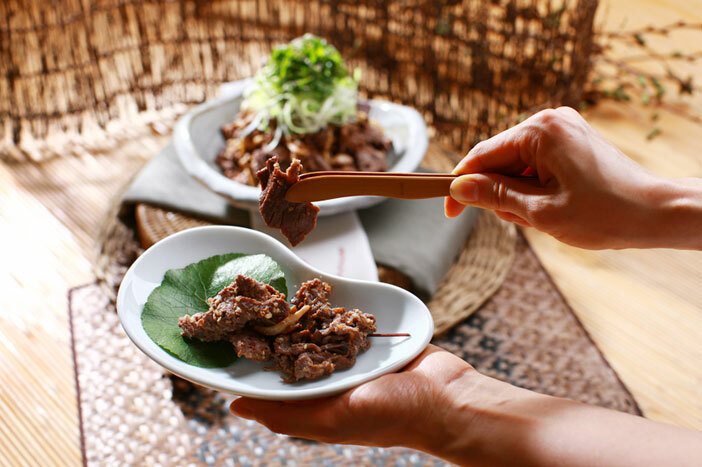 Bulgogi is a dish loved by Koreans and foreigners alike. 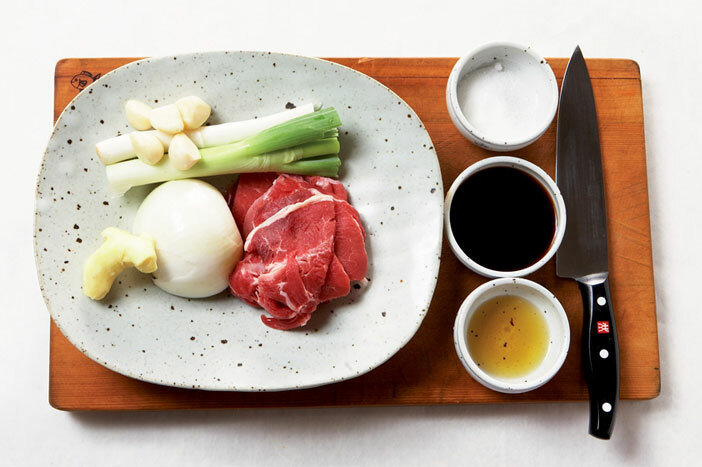 This dish made of thinly sliced meat and vegetables mixed in a sweet marinade is the perfect choice for people who can’t handle spicy foods. It is excellent in both taste and nutrition as it makes a good combination with fresh vegetables such as thinly sliced green onions. 1. Slice the vegetables (carrots, green onions, etc.) and meat into bite-sized pieces. 2. 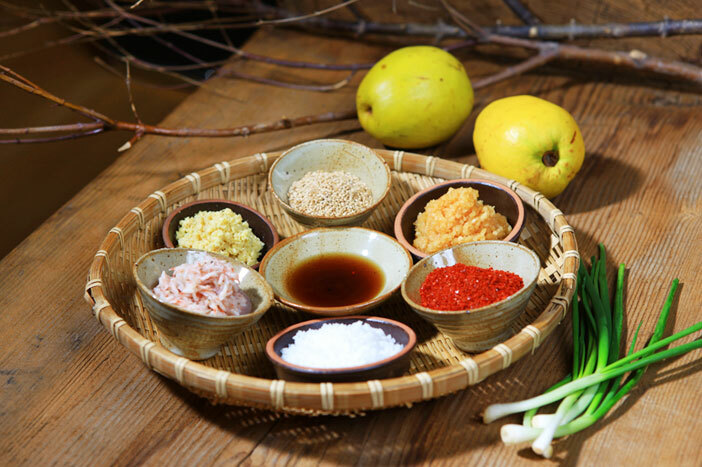 Prepare the meat in a marinade made of water, soy sauce, garlic, pear (may substitute with pineapple), sesame oil and sugar. 3. Cook the marinated meat and vegetables in a pan over medium heat. Kimchi is the most famous traditional Korean food and an icon that well-represents Korea itself, as it accompanies almost every meal served in the country. 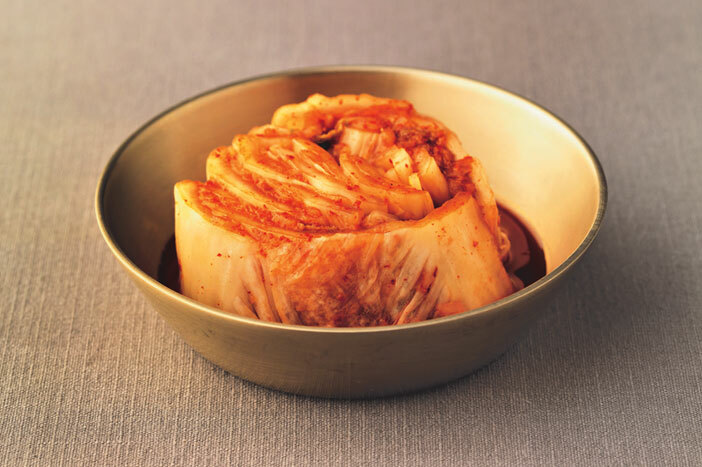 Depending on the ingredients and methods used to make kimchi, as well as the fermentation time given, each type of kimchi has its own unique taste. Kimchi generally starts out with a crispness that eventually mellows out into a deeper flavor over time. 1. Prepare a salted cabbage, radish and the seasoning ingredients (Korean red chili powder, fermented anchovy sauce, salted shrimp, ginger, garlic, sticky rice starch, anchovy powder and plum extract). 2. Mix the radish and the seasoning ingredients together. Add more Korean red chili powder for a deeper red color according to preference. 3. Holding the cabbage at a 45-degree angle, spread out the cabbage leaves one by one. Starting from the middle, coat each leaf and fill the space between with the seasoning. Repeat until you reach the outside layer. - Directions: Gyeongbokgung Station (Seoul Subway Line 3), Exit 2. Walk approx. 7min. - Fee: Standard fee of 100,000 won per class (50,000 won each for two people; 20,000 won each for five people) * Please make phone inquiry for other numbers of groups. * This column was last updated in July 2018, and therefore information may differ from what is presented here. We advise you to check details before visiting.